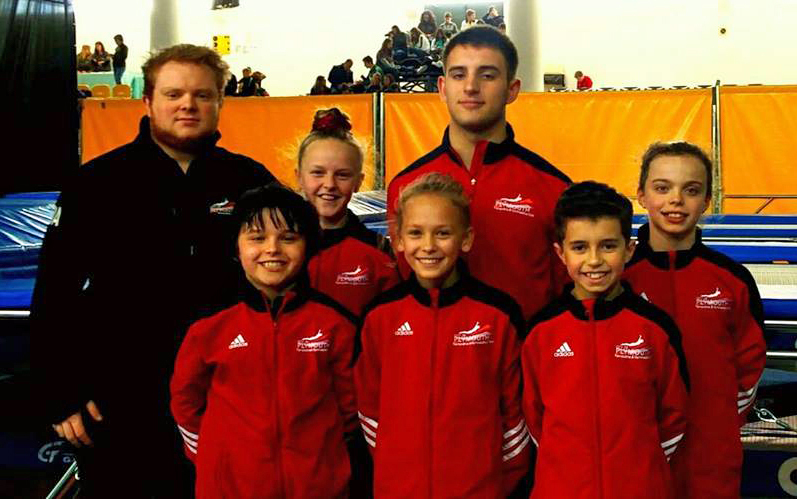 CITY of Plymouth Trampoline and Gymnastics Club have picked up their first international medals at the Cascais Beach Cup in Lisbon. The club travelled to Portugal to test themselves against many of Europe’s top teams. Oscar Piper and Ben Miller both claimed podium places, while Nyla Evely, Stephanie Hancock and Evangeline Piper all reached finals. 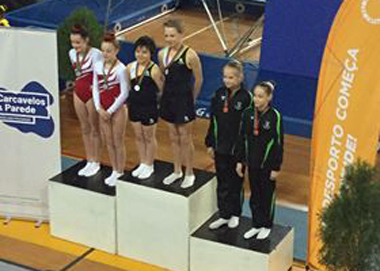 Oscar Piper teamed up with City of Liverpool’s Oscar Carey to win synchro gold in the 13/14 year-old trampoline category, with Hancock and Evely taking fourth and Evangeline Piper and Liverpool’s Maisie Lineker-Walsh finishing fifth. Oscar Piper also won an individual trampoline silver medal in the 11/12 year-old section. In the same category Evely came 10th and Adam Lee 24th. Miller won a bronze medal in the junior individual trampoline event behind Liverpool’s Corey Walkes and Sporting Club de Portugal’s Joao Duarte. In the 13/14 years’ individual section, Evangeline Piper came sixth and Stephanie Hancock eighth. Miller and Oscar Piper both also came close to adding medals in the double mini trampoline (DMT) events. Miller came fourth in the junior section and Oscar Piper fifth in the 11-12 year-old category, where Evely was 10th. There was also a fifth-placed finish for Hancock in the 13-14 DMT, with Evangeline Piper 20th. The competition in Portugal attracted more than 300 competitors from 28 clubs around Europe.